Try any Right Guard Xtreme Dry Spray Antiperspirant for FREE with this mail-in rebate offer! 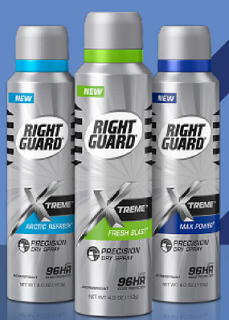 Purchase Right Guard Xtreme Dry Spray from CVS, Rite Aid, Walgreens, Target or Kroger. Then print the rebate form, fill it out and mail it in along with your receipt to receive your purchase price back (value varies by location)!